The mandate for ECFA is reflected in the nature of its founding, the values upon which it was founded, and the mission for which it exists. ECFA is not a self-appointed entity separate from the Body of Christ. Rather, it was founded in 1979 by evangelical leaders who came together to establish a means by which responsible ministries could collectively demonstrate a positive witness for Jesus Christ. The ECFA mission grew out of a call for collective biblical accountability. The ECFA seal of approval is the sign that an organization has met the requirements for membership in ECFA. When an organization earns the privilege to display the ECFA seal, it clearly demonstrates to the public its willingness to follow the ECFA model of accountability. This model is characterized by ECFA’s structure. An independent Board of Directors, which is voted upon by the broad membership, governs ECFA. Membership in ECFA is granted only upon ECFA Board approval. The Board has authority to terminate the membership of organizations that do not uphold ECFA Standards. ECFA’s professional staff—also accountable to the ECFA Board—provides support for the work of ECFA and implements policy, programs, and procedures for the benefit of members and the donor public. The ECFA model is uncomplicated, demonstrated by the Seven Standards of Responsible Stewardship™. Straightforward, simple and easy to understand, these Standards lend themselves to ready and consistent application. In reviewing its members, ECFA utilizes a compliance process that is designed to be responsive and fair. Compliance among all members is confirmed through an Annual Accreditation Renewal. Special compliance issues that arise, either through routine evaluation procedures or from other sources, are addressed respectfully, confidentially, and with a redemptive approach. To accomplish its goals, ECFA has garnered outstanding technical expertise from its staff, its Board members, and Standards Advisory Committee. The result is the Body of Christ caring for its own through peer accountability. 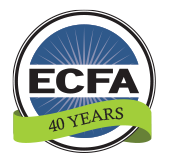 Much of ECFA’s credibility over the years has been reinforced by outstanding Christian ministries whose example and reputation positively reflect upon the Body of Christ. When organizations of such caliber voluntarily submit to independent scrutiny, all member organizations benefit by association. The extraordinary diversity of ministry size and mission among member organizations has strengthened ECFA’s foundation and extended its positive influence globally. 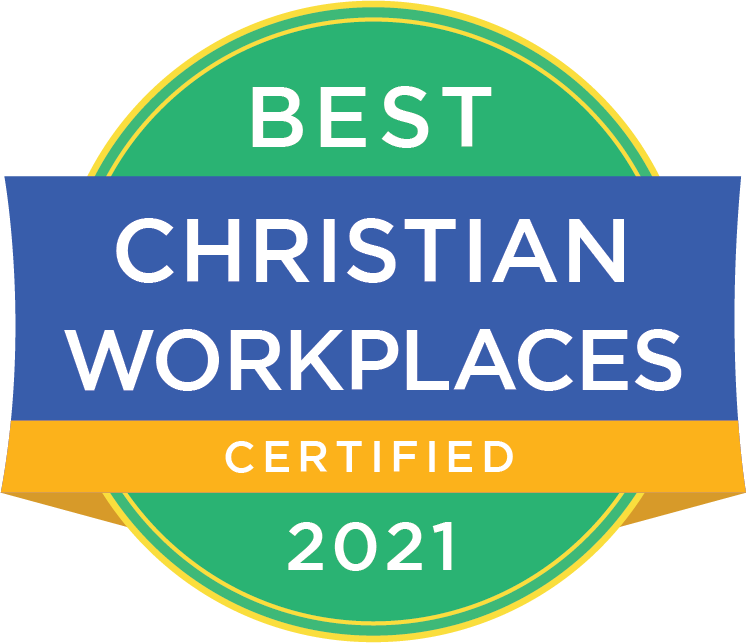 Membership in ECFA contributes to the integrity and image of the entire Christian community. The greater the credibility of the individual member organization, the greater its contribution to the total membership. That the image of Christian ministry has been scarred by the actions of a few organizations is undeniable. However, membership in ECFA is a powerful statement that a ministry acts responsibly and honors its commitment to accountability. Although ECFA membership spans a broad spectrum within the evangelical Christian community, common denominators link member organizations. Spiritually, all proclaim "Jesus is Lord!" as each unique organization creatively spreads the good news of the Gospel. Functionally, all must raise and spend funds to accomplish their mission goals. Despite many factors that segment ministries, ECFA membership utilizes these common denominators to unify the Christian community. ECFA is not self-regulation. It is peer accountability, a biblical demonstration of the church caring for its own. Peer accountability has proven effective in many professions, such as accounting, legal, medical, and higher education. ECFA was formed in response to threatened legislation. The fact that so many organizations have voluntarily submitted themselves to ECFA’s independent standards of accountability has clearly forestalled this threat. As a viable accreditation agency, ECFA helps preserve freedom from governmental intrusion for all ministries – including those who are not members of ECFA. Independent academic researchers have documented that ECFA membership is a factor in the favorable contribution decisions of a sizable percentage of the Christian donor public. Increasingly, donors are looking for the ECFA seal before they give. In recent years, ECFA’s influence and reputation have grown tremendously among the various communities in which it operates. ECFA is an active, respected participant in the secular philanthropic community in the U.S.
ECFA has an ongoing reciprocal relationship with the office of the Attorney General in many states. It is a regular participant in NASCO (the National Association of State Charity Officials). It has provided comments on various issues to the Internal Revenue Service. Although it is not a lobbying or trade organization, ECFA has been a significant resource to various members of Congress regarding legislation that might impact the "faith-based" community. ECFA has participated with others in signing various petitions or filing “friend of the court” briefs on a number of judicial cases. In January 2011, Senator Charles Grassley (R-IA), a member of the Senate Finance Committee, asked ECFA to facilitate responses from the ministry community concerning a series of legislative proposals prepared by his staff. ECFA formed the Commission on Accountability and Policy for Religious Organizations to assist in this process. ECFA conducts press interviews on a frequent basis. These range from the best-known news agencies to many regional and specialized media outlets, including the Christian press. Whenever there is a scandal in the charity world—regardless of whether the organization in question is an ECFA member or not—these media outlets often consult ECFA. The membership’s growing awareness of ECFA’s impact has a direct relationship on the value of the seal. This increased recognition by the membership is both in spite of and because of ECFA’s strong stance in upholding its Standards. ECFA’s best work is done in biblical confrontation behind closed doors. Professionalism, fairness, objectivity, and consistency are cornerstones of the general operating practice of ECFA’s Standards Advisory Committee and Board. ECFA’s organizations collectively receive over $27 billion per year in income from their ministry efforts. Members of ECFA’s Board and Standards Advisory Committee are among the finest experts in the country. This expertise is exhibited in ECFA’s many published opinions and commentaries on technical issues. ECFA is frequently promoted on Christian radio talk shows, in public service announcements, and through magazine ads. ECFA’s website reaches thousands and continues to expand. Ministry profiles are available online with a link to each member organization’s own website. In addition, ECFA’s toll-free number is accessed daily by the public to verify membership, obtain profiles, and obtain other information about charitable giving. ECFA provides many resources for churches and nonprofits, including Knowledge Center documents, eBooks, governance resources, Podcasts, webinars, surveys, and more. ECFA’s digital newsletters, Nonprofit Pulse and Church Pulse, target key issues and provide members with reliable, up-to-date information from experts in the field. Vigorously defending its members in good standing, ECFA is the best defense for any ministry falsely accused of wrongdoing. ECFA’s independence is a key to its success in both denying accreditation and defending its members in good standing when appropriate.